We believe that the health, longevity and happiness of your family and coworkers is directly affected by the purity of the water they drink. That’s because water comprises about 70% of the body and is critical to body functions. Water is also crucial to having clean and healthy communities. Each year an estimated 16.4 million cases of acute gastrointestinal illness caused by waterborne contaminants found in U.S. public drinking water are reported, according to the U.S. Environmental Agency and Centers for Disease Control. Eighty-eight percent (88%) of deaths due to diarrheal illness worldwide are attributable to unsafe water, inadequate sanitation and poor hygiene, according to World Health Organization and UNICEF. The best way to protect yourself and your family is to drink high-purity distilled drinking water. Today, more than 85,000 possible contaminants can be found in the water supply. The most serious are biological — bacteria, viruses and their toxins. As for chemicals, local water treatment facilities generally safety-test for only about 100 chemicals. This means your family and workplace are exposed to many drinking water hazards. 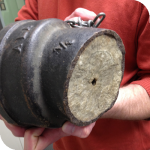 The picture shows the contaminants build up in a water pipe removed from a building in Iowa, USA. The US. Geological Survey found at least one pesticide in every stream tested in the U.S. The Survey tested more than 10,000 U.S. streams. One-fifth of all streams had 10 or more pesticides present. Some chemical toxicity is tolerated by the EPA. For example, federal standards allow certain levels of arsenic to be present in the water supply. This is because arsenic is costly to remove completely. Infants consume seven times as much water for their size as adults. 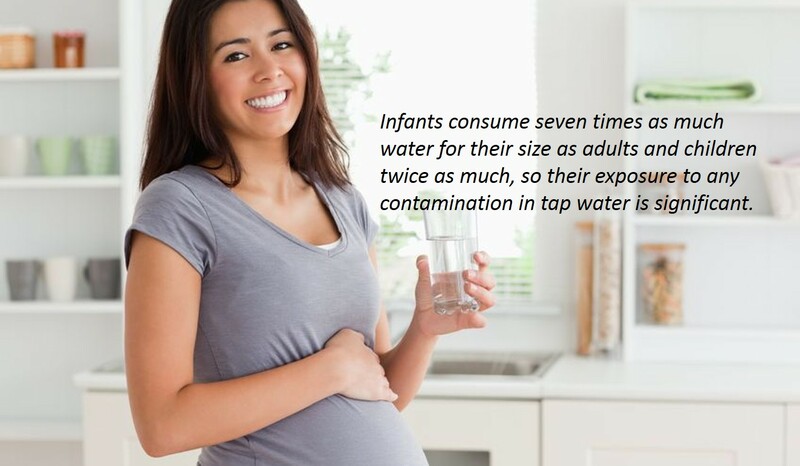 Children consume twice as much water as adults, so their exposure to tap water contamination is significant. Provide your family and workplace with the purest, best-tasting water possible. Pure, steam-distilled water is recommended by top nutritionists and doctors the world over. Medical professionals are studying links between toxins found in water and cancer and other diseases. The European Journal of Cancer says that cancer prevention programs that target the environment are more effective at reducing cancer deaths than current cancer treatments. Distillation is the only technology that consistently produces the purest water possible. AquaNui machines were designed to fulfill this purpose. As you do research, be careful of various product claims. We’ll always be straightforward and honest with you. 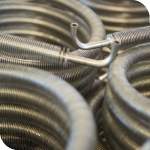 Carbon filters can remove contaminants such as benzene, chlorine, pesticides and rust. They also improve taste. Reverse osmosis filtering systems do a little better job. In addition to removing the above contaminants, RO machines remove arsenic, fluoride, lead and mercury. But effectiveness drops over time. They are known to waste a lot of water. Steam-distillation systems do the ultimate job. 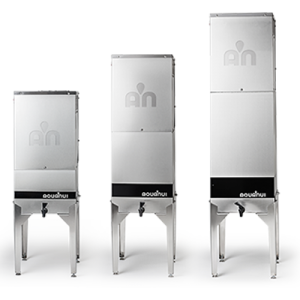 Besides effectively removing all of the above contaminants, AquaNui premium water distillers remove algae, bacteria, radioactive cesium, copper, pathogens, salt, sulfates and viruses — and wastes virtually no water in the process. So, why not buy an AquaNui today? Start shopping now. How does steam distillation work? Steam distillation produces the purest water possible. Steam distillation duplicates nature’s Hydrologic Cycle of evaporation, condensation and precipitation. A premium water distiller heats tap water to boiling inside a stainless steel boiling tank, condenses the steam in a high-quality stainless steel condensing coil and stores the purified water in a stainless-steel storage tank. The contaminants remain in the boiling tank, where they can be removed with regular cleaning. AquaNui premium water distillers are made to fit your needs. Customize your AquaNui today. 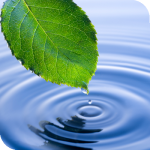 Pure Water products have a very loyal following. Among them are the companies and organizations whose logos are shown here.